Clothing was the principal medium for artistic expression amongst the Dene of Canada's Northwest Territories. 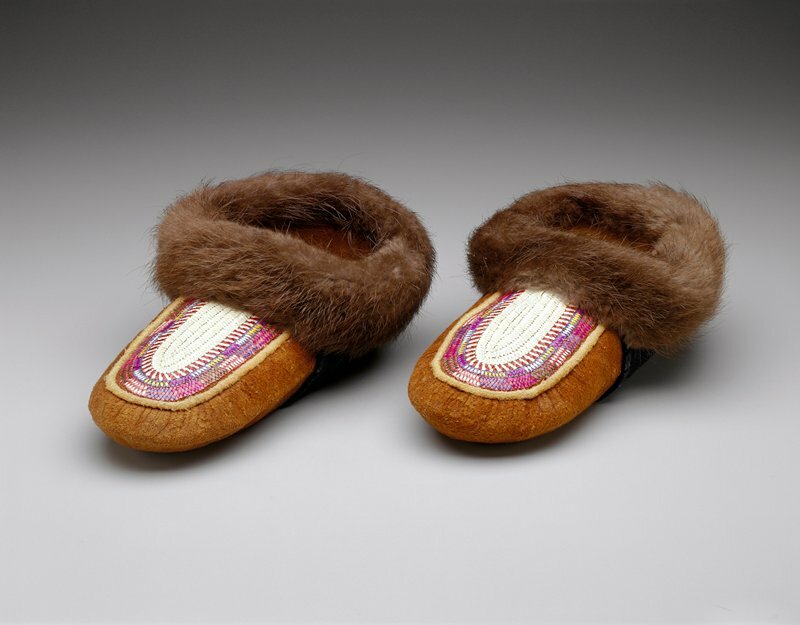 Primarily made of moosehide and beaver fur adorned with quills, shells, and beads, highly ornamented ceremonial clothes and shoes were important status symbols. Moccasins like these would have shown the wealth and prestige of their wearer. They were made by Sarah Hardisty, a Dene woman who is a master of the disappearing art of quillworking. She utilized a complex double-quilled technique to create the intricate multi-colored vamp decoration.